File sharing service WeTransfer has opened up its developer API and named Getty Images as its first partner. 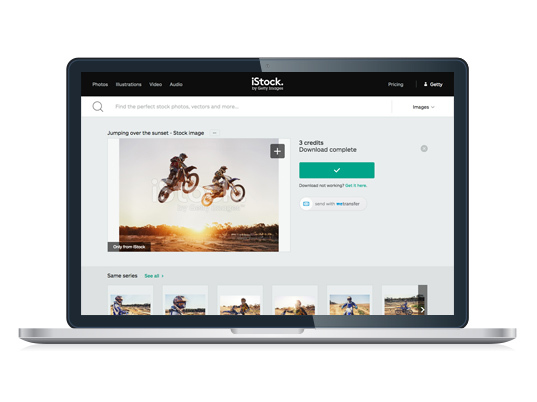 This means that users of Getty Images iStock service can now share their pictures and videos using WeTransfer, without having to leave the site. It’s the first time WeTransfer has done a partnership like this, allowing a third-party platform integrate its API but Getty Images seems like a natural fit. iStock by Getty Images is a source used by people in creative industries on a daily basis and such is WeTransfer’s target. [It has] a broad customer base of creatives that regularly needs high-resolution image transferring. WeTransfer is all about making it easy to share large files, with nearly sixty percent of our users working as creatives. Partnering with them was a no-brainer. Now we’re just excited about the potential. Also under the partnership, WeTransfer and Getty Images are offering new and existing iStock subscribers a free one year subscription to WeTransfer Plus, which would normally set you back $120.